We will schedule a pre-service visit. During this visit we will meet you and your pets and spend time exchanging information about your pet and home requirements. Please ask all the questions you wish. We can let you know what kind of information to have handy when the appointment is scheduled. If your pet seems a little anxious or nervous we can schedule a trial visit before you actually leave. We want you to be completely comfortable so you can enjoy your time away. We schedule your pets so that we can keep the visits evenly spaced. Dogs and kitties love a consistant schedule. Your pets will keep the same spot in the schedule the entire time you are away. This assures your pets of seeing his or her regular pet sitter at about the same time morning, afternoon, and evening everyday. 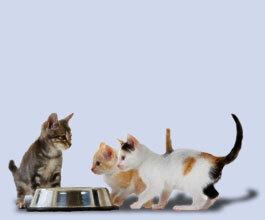 Your pet sitter will give your pets needed medication as directed by your veterinarian. This will carefully reviewed and noted during our pre-service visit. We will collect all newspapers, mail, UPS and bring them in daily. We will water your house plants and/or garden. We can also alternate light and window treatments. Special requests are welcome and we will make every effort to accomodate. Our basic fee is $11 per visit plus $1 for every additional dog. Overnight stays are $40 per night. For a pet taxi service quote, please call us.